This is the prompt, kindly provided by Ady . . .
Light-headed and disoriented, Albert drifted through the park he’d once known so well, struggling to understand why he was here at all. 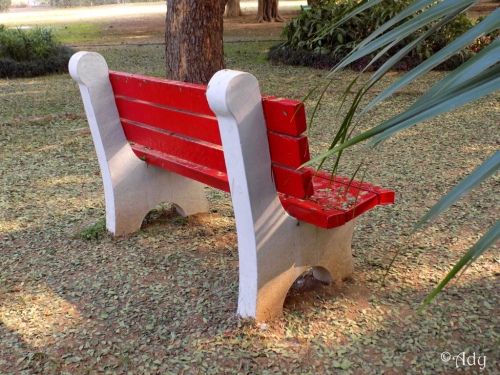 The colourful bench confused him further, posturing shamelessly where the old one had once reigned. He’d sat here so often with his pretty young wife . . .
‘Don’t go!’ Mary begged, grasping his hand. ‘We’ll run away… go to Scotland. They’d never find us there!’ But they would have done, and he’d have been shot at dawn . . . The shrill whistle pierced Alfred to the core. He clasped his bayoneted rifle, scrambling ‘over the top’ of the trench’s parapet into No Man’s Land below. Enemy shells exploded; a volley of machine gun fire rang out: men fell to the quagmire’s embrace. Albert sank into the comforting mud, knowing he’d never see Mary again. The Somme Offensive had claimed him: July 1st, 1916 . . .
July 28th, 2016 marks one hundred and two years since the start of the war that was once dubbed ‘the war to end all wars’. Unfortunately, too may wars since then has long since proven that to be false. In Britain, the war was originally known as ‘The Great War’, but is now variously called ‘The First World War’ or simply ‘World War One’ (or WW1). War started in 1914, and word soon spread that it would ‘all be over by Christmas’. Such optimism was soon found to be erroneous: it lasted four long years. 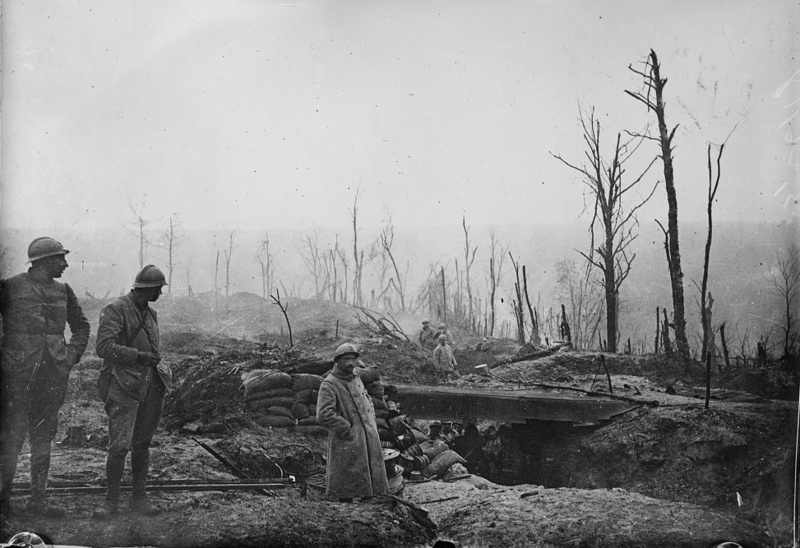 The Battle of the Somme – also known as the Somme Offensive – was fought by British and French troups against the German Empire on either side of the River Somme, in France. It lasted from July 1st – November 18th, 1916, and was one of the longest battles of the First World War. More that a million men were wounded or killed. It has become known as one of the ‘bloodiest battles in human history’. On the first day alone, (July1st) 58, 786 British, 49,859 French and 103,000 German soldiers died. ‘Trench warfare is associated with mass slaughter in appalling conditions‘. A French trench in NE France. Author: Bain News service. Public Domain. Stretcher bearers at the Battle of Passchendale. August 1917. Author: John Warwick Brooke. Public Domain. What a lovely and heartfelt story Millie! Oh, that one made me cry! But in a good way. Very touching, that they can sit together again, after all this time apart. Hi Joy. Thanks for that. I struggled to find a story for this one. The ‘ghosty’ thing came into my head as soon as I saw the pompt and lodged itself so securely I couldn’t think of anything else. I’ll be checking out other stories tomorrow – it’s getting a bit late here now. That’s a beautiful story. They are but one couple of many that ended up meeting again this way, I imagine. Good love story! Terrific story. My Great Grandfather died in the second Battle of the Somme so I found it particularly touching. Millie, this is fantastic! Albert had died in the war and when Mary died, he came to meet her at their bench. So sweet, and yet so sad. I heard that World War I had the most casualties of any war in history. I agree with you and Wikipedia. Wonderful footnote information! Oh, I hate to see you do that because I love your stories and all the information you give! A silent bench could be the home to so many timeless stories. I absolutely loved this, Millie. While keeping it real and factual, you explored fantasy in the most beautiful manner. And we just hope that those horrors and so many more of them happening in half of the world, never repeat themselves. It is dreadfully funny that even when everyone believes so, the world is at war. Thank you for taht great comment, Michael. I know many Australian, Canadian, Russian and American soldiers were involved in this awful war, too. Unfortunately, I couldn’t see any casualty figures on the quick glance at sites that I made. It certainly was a ‘world’ war. Yes, ‘military intelligence’ had a lot to answer for. Congrats,dear Millie!You have developed a fascinating story,you have so efficiently entwined history and sentiments beyond the ordinary.The footnote strongly supported your moving story.Hope your time away from WP was creative and that you organised your writing stuff as you expected.Enjoy a sunny weekend 🙂 ~ I reckon that Imogen has gone now;its furious attacks were absolutely dreadful. My books are historical fiction, Doda. They are definitely fiction, so the storyline is created by me. But any documented historical facts can’t be changed, of course. My books have both fictional and historical characters in them, and I can make up whatever I like about the fictional ones. But I have to keep all historical dates and events etc. correct. My main historical character is King Alfred (Alfred the Great). As my books are set in the 9th century, there is far less documented evidence about Alfred’s personal life, his appearance and so on, as there is for historical figures of a later date. So much of that has been up to me to fabricate. My books are on Amazon, as eBooks and in print, Doda. Book 1 (Shadow of the Raven) will be free on Amazon on February 20 and 21, if you’d like to have a look. You may find the Anglo Saxon names confusing until you get used to them. There is a list of characters at the front if you need to keep looking back. Thank you for the lovely compliment, Doda. 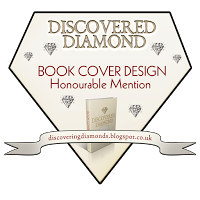 I really hope you enjoy my book! Very powerful story, Millie…sad too, but also quite lovely. Both World Wars…very heavy indeed, black marks upon the report card of the human race. Great reading, thanks for sharing! Thank you, L.T. For some reason this was the only way my brain headed for this prompt. One of the ‘hazards’ of liking history so much, I suppose. And yes, the human race never seems to learn when it comes to wars. I’ve been ‘off’ my blog for a few weeks and came back a week ago. I needed to focus on my writing for a while, without other distractions. I just popped back for an odd day or so and I’m still here! I do get tempted into writing posts, so staying off completely is the best way for me. I did miss it, though. Lovely story, Millie, so profound! Thank you smilecalm – and thanks for visiting my blog again. I think the great thing about blogging is that it evolves. So I guess if you love flash fiction best that’s the think to work more on? I like the flash because it’s writing – and creative. I do love my historical/travel posts, and my traditions and customs, too, but creating stories is something I love. I’ll keep all three going or my blog because I like the variety. But I often find it difficult to resist the prompts, even when I’m pushed for time. Very emotional, what a lovely and sad tale. Thanks Freda. It was a bit of a sad story this time. The First World War was a dreadful war. The conditions in the trenches were appalling and men died from disease. 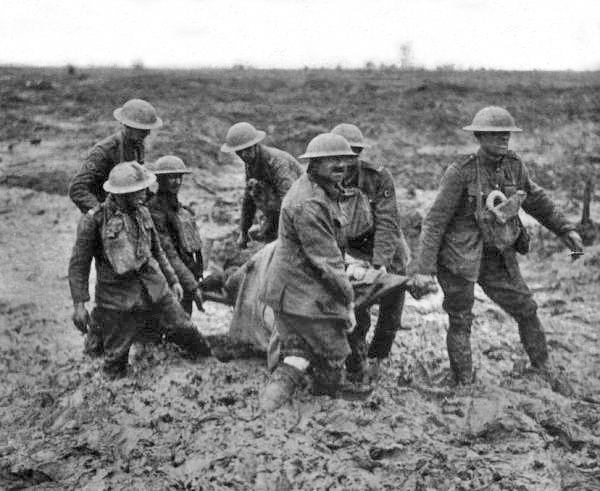 Many got ‘trench foot’ (when the feet swell up like balloons due to being in all the water collected in the trench). There were so many deaths in all the armies involved. Such a touching story! Loved the ending! So is he dead? It is good to know the two met again in the afterlife. They are happy together now. It was an excellent change! Gives you perspective again on the real writing. I also force myself to get back into writing each week. It helps to keep the “old” brain going isn’t it! I thought of quieting my Friday writing class at the library but the ladies said I can’t do that they enjoy my writing every week . So, I’ll go on again. It’s also for being social otherwise my language usage will fade away. We all need to keep up social activities, otherwise we become recluses – as so many writers do. I wish we had a writing group near here that I could go to. I’m sure your group would miss you – and it’s good for you to have feedback on your writing. Your group members obviously enjoy reading it! I also love to listen to all their stories too. It is all about your own life experiences. Everybody has things they can relate to when writing about their own life. It also brings back memories of your own past when you hear about others stories. I can imagine you reminiscing about SA. Have you written about those wonderful kazoo trees? Done lots of stories. This is year no 4 I am doing it! My afrikaans ebook has all my SA adventures in it. Millie, for some reason I have just noticed my comment yesterday did not connect through. I have been having hassles with my computer and the internet lately so that must be why. Lovely and touching story Millie! Gosh! And we still haven’t learnt to live and let others live. Power is indeed intoxicating, unfortunately it’s the foot soldiers that die. Great story Millie and information too. Thank you, Chioma. WW1 was a dreadful war. The number of lives lost is too difficult to comprehend. War is horrendous, trench warfare a nightmare, thank you for the reminder of what war is really like, we forget sometimes that human beings must fight wars, it’s not just flashes on the evening news. It’s a harrowing thought that wars are still going on today, and that mankind never learns its lesson. So many deaths are hard to comprehend. Thank you for reading my story, Holly. Thank you Millie, you’re a gem. Our War memorial site says that an average of 38 died each day of the actual war (59,357). Like Great Britain, we had massive causalities in the Dardanelles. Rob’s grandfather got injured in the first days of madness and came home minus a leg. One of the lucky ones. You wrote a poignant tale, Millie. Thanks, Christine. I didn’t see figures for Australian and Canadian casualties on the sites I used – but, I admit, I was trying to be quick. I have a ‘thing’ about WW1. I find the whole idea of it quite distressing. It was a horrible war, and the death toll was beyond imagining. I don’t know as much about what happened in Gallipoli or the Dardanelles, but I intend to look both of them up (when I find time!). Sorry to hear about Rob’s grandfather. I imagine the loss of limbs was common – but that doesn’t make it any the less horrific, does it? The men were sent to the wrong beach and were cut down, some before even getting off the boat. Senseless waste of young lives. There were several incidents of such things during WW1. As you say, Christine, such a terrible waste of young lives. Beautiful story, and a somber reminder of the realities of war. Thank you for sharing.